Hearing aid batteries are fantastic because they’re so buyer-friendly. 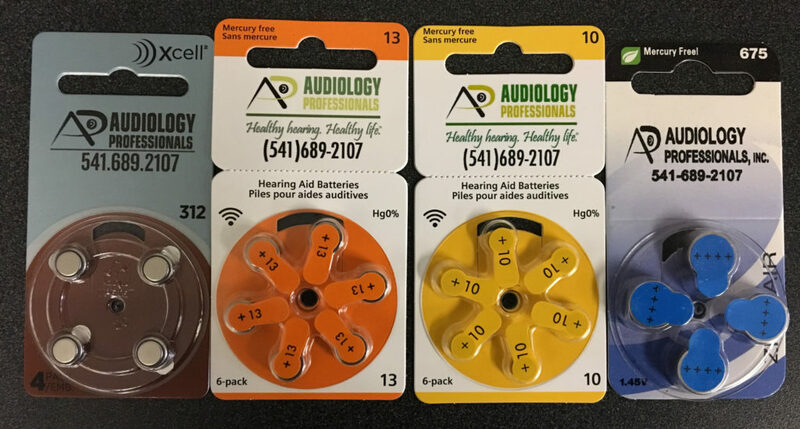 It doesn’t matter what brand you buy, from which store, or whatever country you may be in, your hearing aid batteries will be one color and one size number. For example, if you use Size 312 batteries, they will always be size 312 and have brown on the package. If you use Size 13, they will always be 13 and orange, and so on. The power level and lifespan only slightly vary by brand, and you can always look up reviews to see what folks think about each brand. Another thing that makes hearing aid batteries different is that they are not fully charged when you first purchase them. The vast majority of hearing aid batteries are filled with what is called a zinc-air compound. When you peel the sticker off the top of a battery, it allows air to enter through a couple pinholes which activates the compound and begins the charging process. Let the battery sit for at least 30 seconds up to a couple minutes to fully charge before using it in your hearing device. The reason hearing aid batteries need to charge up is due to the inner compound that provides the energy for your hearing aid. As I said before, it is a zinc-air compound, and what this means is that the battery will, once charged up fully, maintain that level of power right up to the end of its lifespan. Other battery types, like AA and AAA, will begin fully charged and slowly lose power over time. If this happened in a hearing aid battery, your quality of hearing with your hearing aids would also deteriorate over time. There are also some brands that have rechargeable options available. IT IS IMPORTANT TO NOTE that these rechargeable batteries can only be used with a set of hearing aids that are able to use them! Not all manufacturers have devices that can take rechargeable batteries, and not all rechargeable devices can take the same batteries. If you have any questions regarding rechargeable options, please give your hearing health care professional a call before experimenting. Fun Random Fact: Candles on romantic dinner tables were traditionally used to prevent prospective lovers from leaning over to steal a kiss before they were married.